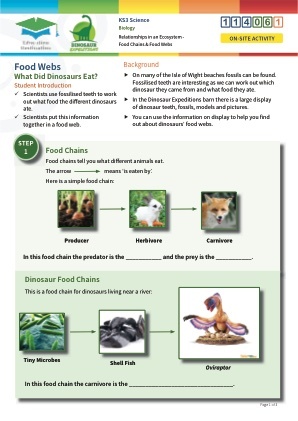 EVERYTHING A TEACHER NEEDS TO KNOW ABOUT DINOSAUR EXPEDITIONS C.I.C. 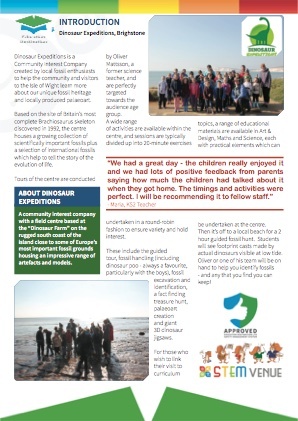 Highlighted the 20 most frequently-occuring key words in relation to Dinosaur Expeditions C.I.C..
Click to download our handy Introduction Document for Dinosaur Expeditions C.I.C..
Our top 5 school / group accommodation providers closest to Dinosaur Expeditions C.I.C. This page is currently WORK IN PROGRESS and we&apos;re adding new details all the time whilst teaching resources are in development for Dinosaur Expeditions C.I.C. "Created by enthusiasts to promote responsible fossil discovery, conservation and interpretation." By prior arrangement space can be reserved for a coach at the Dinosaur Farm. Minibuses can use the small car park adjacent to the building. There is no charge for parking at the Dinosaur Farm. However the fossil hunting part of the visit may require use of a public or NT-managed car park for which a small fee may be payable. 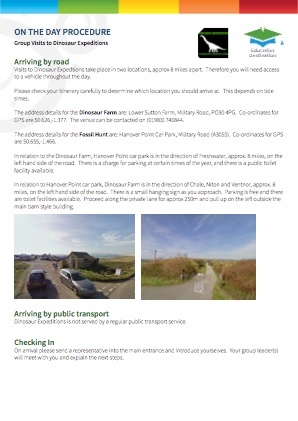 There is parking available for cars and minibuses adjacent to the dinosaur farm building. 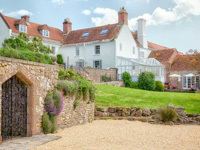 Parking is free at the dinosaur farm, however the fossil-hunting part of the visit may require the use of a public or NT-provided car park and a small fee may be payable. 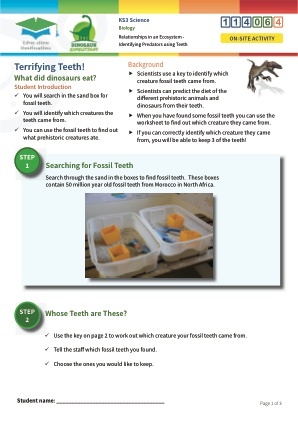 Educational Resources available at Dinosaur Expeditions C.I.C. Our qualified and experienced teachers have worked closely with Dinosaur Expeditions C.I.C. 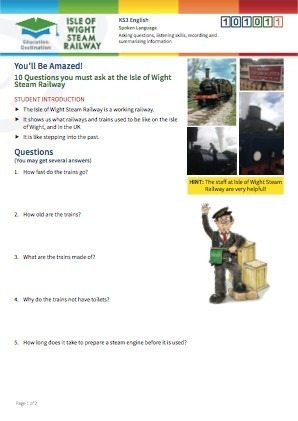 to develop a range of high quality curriculum-relevant learning resources and activities to help you and your students get the most out of a visit. These cover many subjects and age groups, and are a mix of pre-visit, on-site and post-visit activities to support your preferred teaching style. 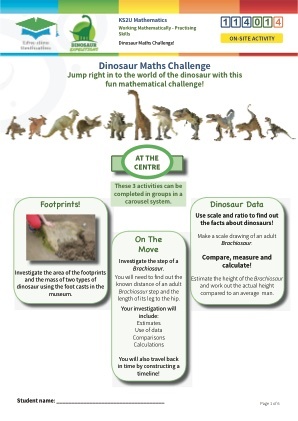 011 L Dinosaur Maths Challenge! 012 H Dinosaur Maths Challenge! We have identified the following additional learning opportunities at Dinosaur Expeditions C.I.C. 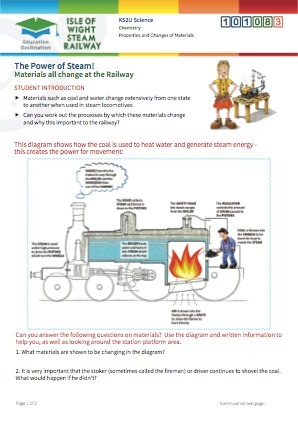 for Lower Key Stage 2 students, which we hope to produce in due course. If you could make use of this, please click to vote and we&apos;ll raise the priority! 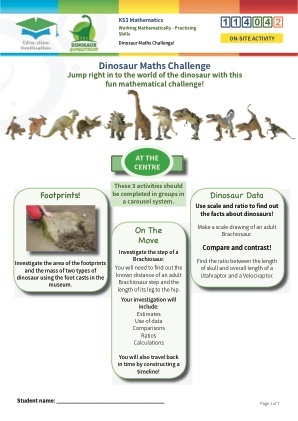 013 L Dinosaur Maths Challenge! 014 H Dinosaur Maths Challenge! 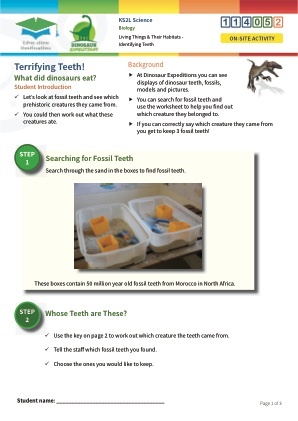 We have identified the following additional learning opportunities at Dinosaur Expeditions C.I.C. for Upper Key Stage 2 students, which we hope to produce in due course. If you could make use of this, please click to vote and we&apos;ll raise the priority! 041 L Dinosaur Maths Challenge! 042 H Dinosaur Maths Challenge! 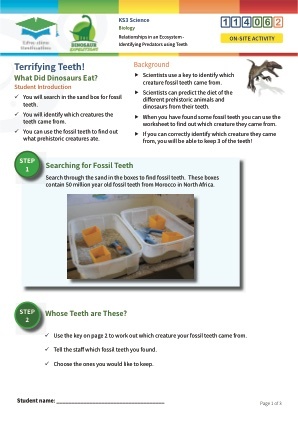 We have identified the following additional learning opportunities at Dinosaur Expeditions C.I.C. 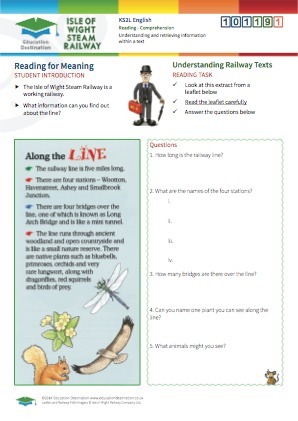 for Key Stage 3 students, which we hope to produce in due course. If you could make use of this, please click to vote and we&apos;ll raise the priority! 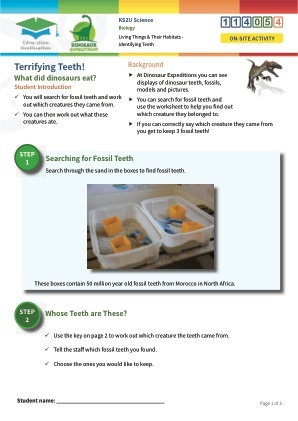 We have identified the following additional learning opportunities at Dinosaur Expeditions C.I.C. for Key Stage 4 students, which we hope to produce in due course. If you could make use of this, please click to vote and we&apos;ll raise the priority! 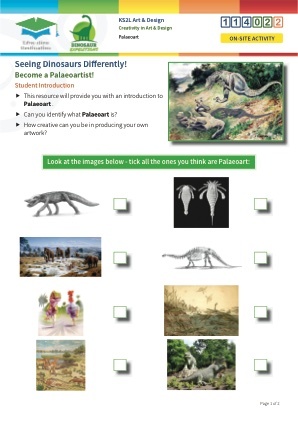 We have identified the following additional learning opportunities at Dinosaur Expeditions C.I.C. 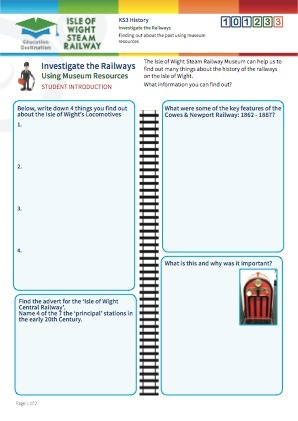 for Key Stage 5 students, which we hope to produce in due course. 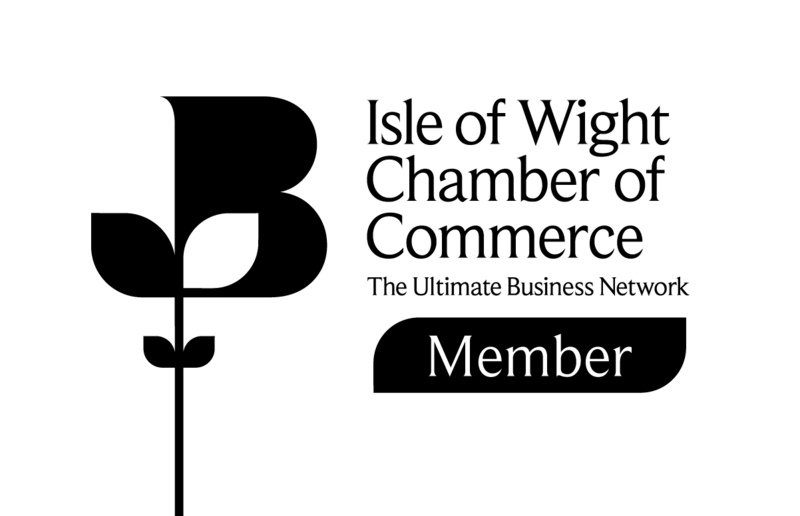 If you could make use of this, please click to vote and we&apos;ll raise the priority! 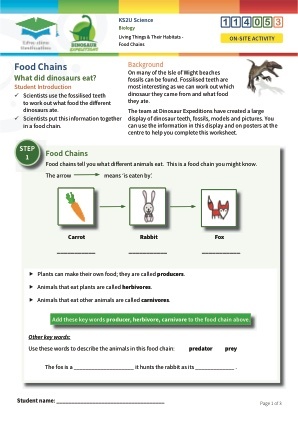 To help you determine whether Dinosaur Expeditions C.I.C. is suitable for your particular students, we've summarised any accessibility issues for you in the section below. The exhibition centre is fully accessible and assistance dogs are allowed. 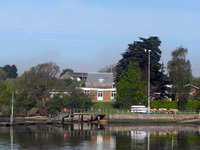 The fossil walks take place on a public beach nearby and last usually 2 hours. Terrain is uneven and the beach is sandy. Therefore this activity is unfortunately not suitable for wheelchair users, the infirm, or those who cannot support themselves for long periods of time. 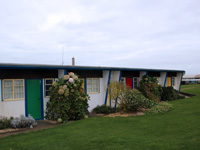 There are no toilet facilities on the beaches used. This section helps you identify whether Dinosaur Expeditions C.I.C. has any such restrictions during your preferred visit dates. 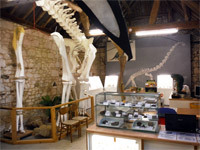 A typical group visit consists of a tour of the museum and a guided fossil hunting walk along one of the nearby beaches between Compton Bay and Atherfield Chine. 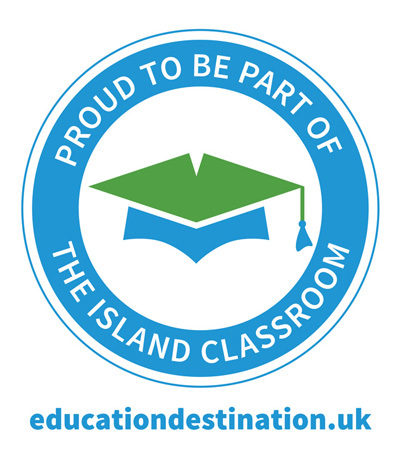 Extend your visit with a range of materials from Education Destination. 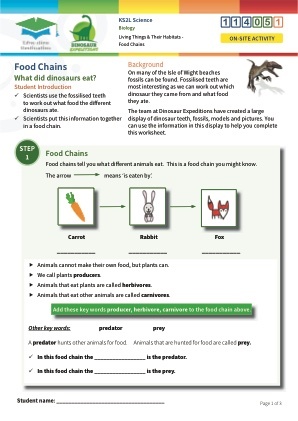 Have a question about Dinosaur Expeditions C.I.C. that's not answered here? In this section we've highlighted any special clothing or equipment you'll need to bring in order to get the most out of a visit to Dinosaur Expeditions C.I.C. If participating in a fossil walk, you will be walking outdoors along unmade paths, up/down steep steps and along a sandy and rocky beach. Suitable attire will be needed depending on the weather conditions on the day. 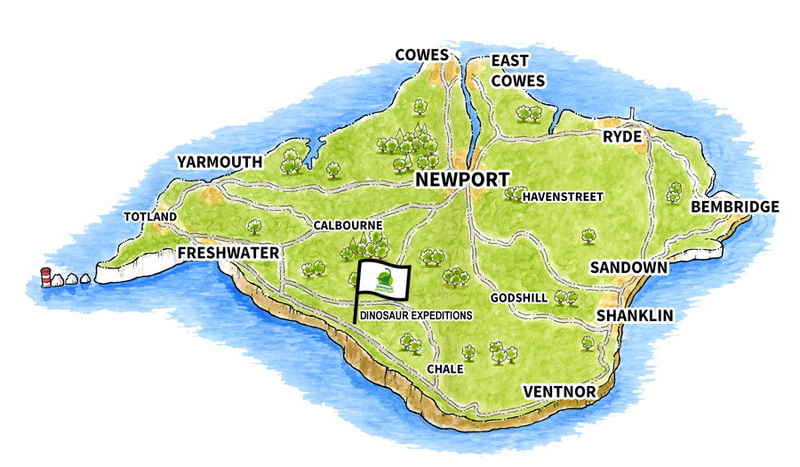 If participating in a fossil walk, sturdy footwear will be required, ideally waterproof, for the beach section. A change of shoes and socks is a good idea, because no matter how many times students are told not to paddle or splash in the rock pools, almost invariably somebody comes back with wet feet! Our experienced teachers have done most of this work for you. In this section you'll find a sample Risk Assessment covering all of the typical activities undertaken at Dinosaur Expeditions C.I.C. by groups of students, along with a detailed "On The Day" Procedure which sets out everything you need to know about the site before you get there. A brief overview of Dinosaur Expeditions C.I.C. prepared especially for teachers. 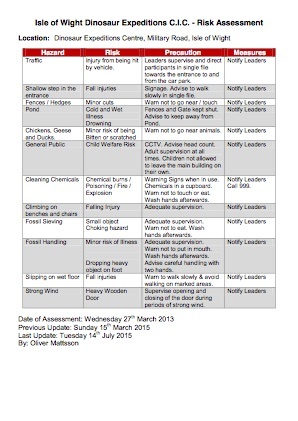 For your convenience this generic risk assessment has been prepared to cover all of the typical activities undertaken at Dinosaur Expeditions C.I.C.. You may use it as the basis for your own documentation. We do not warrant that this is either complete or accurate, and would be happy to help arrange a site pre-visit if required. "Oliver was brilliant with the girls and they loved looking on the beach for fossils. The girls enjoyed the dinosaur farm, the carousel of activities was pitched just right." "Fantastic - Oliver was brilliant - the children were fully engaged and he was able to explain things in a way that all the children could understand. He gave thought to safety as well as to allowing children access to the beach." 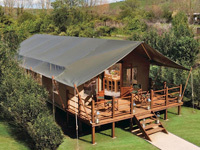 "Staff were extremely helpful and the visit was a success." 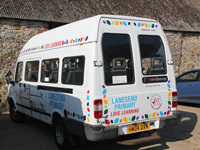 "We had a great day on Monday the children really enjoyed it and we had lots of positive feedback from parents saying how much the children had talked about it when they got home. The timings and activities were perfect. I will be recommending it to fellow staff. It was their first trip out and we were really pleased at how they behaved. Thank you once again for a great day and please say a big thank you to Oliver for all his hard work." 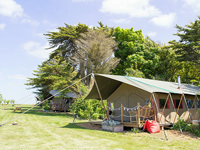 "The students all had a fabulous time and recommended to our years five and six the trip who have now booked up to go. We produced some great display work and poems as well as improving our knowledge of the IOW fossil scene."